Raise your hand if you remember the 80s! Ok, put your hand down. You’re either in a room by yourself and nobody can validate the legitimacy of your claim, you just raised your hand randomly out of nowhere and people are looking at you strangely, or you’ve been watching enough Netflix lately to think you recall the 80s. Or, you know, there are those who actually remember the 80s; so there’s that. Well the 80s were full of digitalized oddities and glorious vibrant neon. And as everything seems to work in a cyclical pattern, a comeback is almost a given. With plucky digitalized-led grooves, airy vocals, and a music video set to a retro workout show that will revolutionize your opinion of headband style, Golden Bear circumnavigates all the glorious throwback vibes one could wish for while bridging decades in one Dimensional Place. Following up their 2011 release, Alive, recorded over three years in Austin, Texas the assembly of Golden Bear (Grizz, Heartbreaker, Walnut, Train, The Deserter, K-Love, and recently added K8Tronic) embark on an 8-track (number of songs, not medium) concoction that is one part retro, one part groove, and a whole hell of a lot of spot-on melodic goodness. Creatively funky around every turn, the prog-pop sound comes shining through on “Let My Love Come Down” and “Spells” before turning toward the sure-to-satisfy “Telephone;” and that is all packed into just the first three songs. Down-tempo grooves shake their thing with Boots Electric-esc sass while airy pop vibrato pings off 32-bit backing rhythms to craft the best 80s vibes you can get without venturing into the Upside Down throughout the rest of the release. Maybe five years off for this group was the answer because Dimensional Place bleeds fantastic. But I would be remiss to portray Dimensional Place as a purely vintage vibe. It is, perhaps, more aptly described as a rainbow road arching several decades of sound at once, travelled by a hovering dance floor of welcoming vibes and radiant mellow progression. 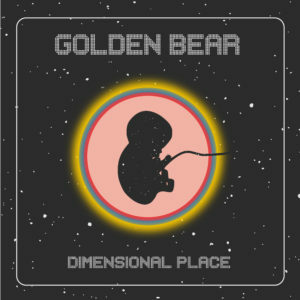 Now put your hand down and go grab Golden Bear’s latest on C-Side Records. P.S. They found Will. #StrangerThingsSpolier. 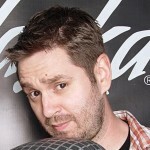 Greg is a co-founder and regular contributor of Nanobot Rock. If you haven’t watched Stranger Things he’d like to apologize and blame the guy who ruined Star Wars: The Force Awakens for prompting spoilers. This entry was posted in Reviews and tagged album, Bandcamp, C Side Records, CD, Dimensional Place, Golden Bear, Prog Pop, prog rock, stream, Texas by Greg. Bookmark the permalink.